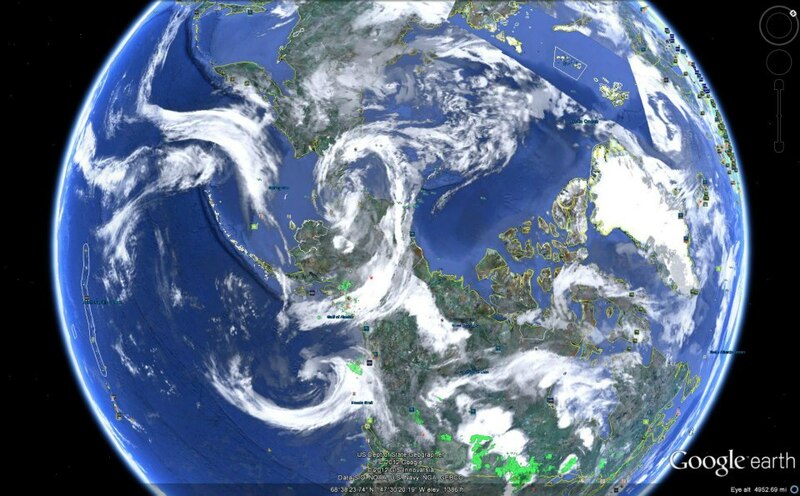 The Google Earth view below shows an Arctic Cyclone going over Alaska and entering the Arctic Ocean. 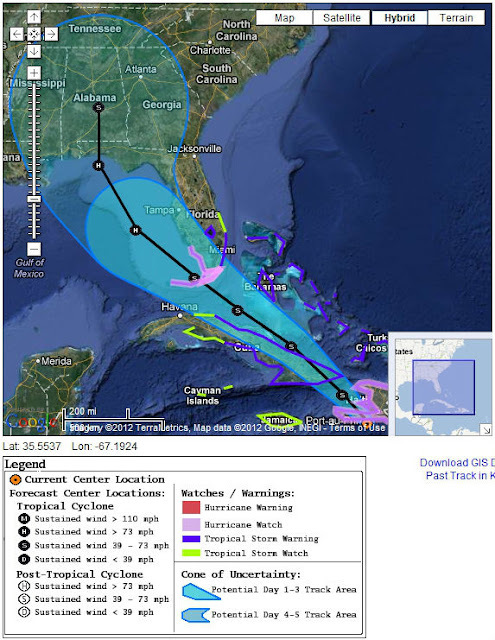 The warm rain and wind will further deteriorate the North Pole Ice Cap. 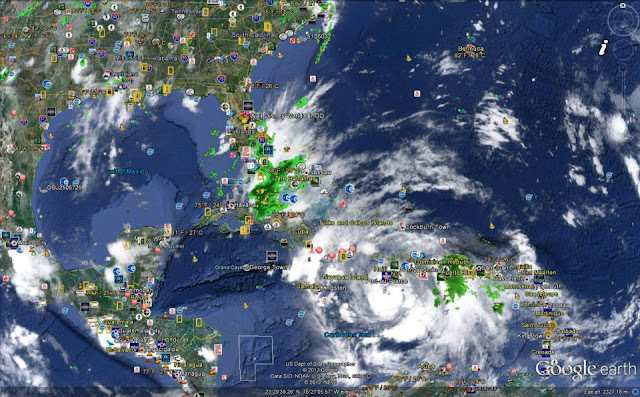 In case you're looking for news in Tropical Storm ISAAC, see the images below. Above image and the image below are from the NOAA National Hurricane Center. 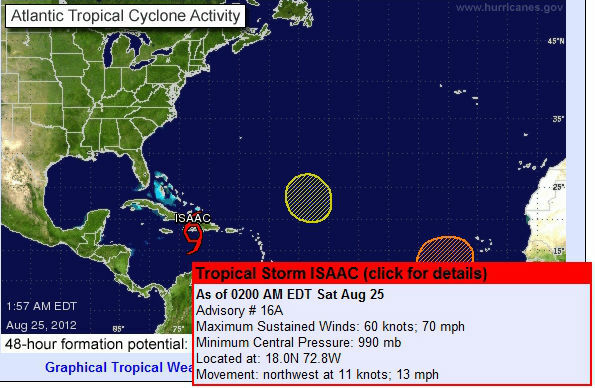 For updates on ISAAC, check that site!